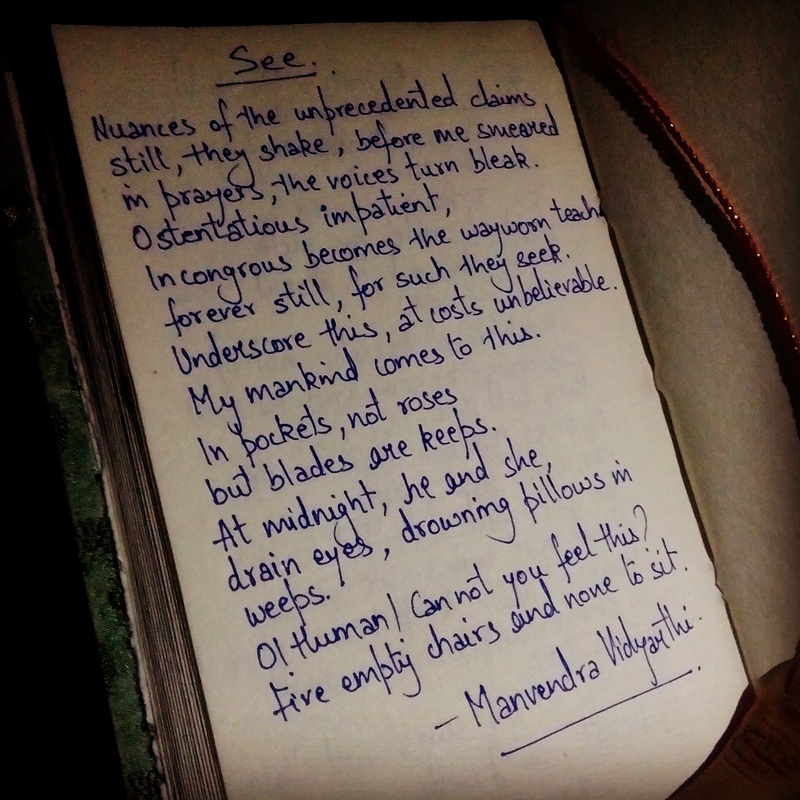 See | The Stories Beneath the eyes. in prayers, the voices turn bleak. forever still, for such they seek. Underscore this, at costs unbelievable. My mankind comes to this. drain eyes, drowning pillows in weeps. O! Human! Can not you see this? Five empty chairs and none to sit.